Commissioned by the Ministry of Economic Affairs (MOEA) Bureau of Foreign Trade, the 13th AMF is organized by the Taiwan External Trade Development Council (TAITRA). It is Taiwan's benchmark event for the meetings industry. Winners of important international exhibition awards, innovation marketing experts, and exhibition technology application experts will lead attendees on an “engaging experience”. Urban marketing thinkers from France and Korea will speak of their experiences and processes in planning the Festival of Lights in Lyon and the PyeongChang 2018 Olympic Winter Games. 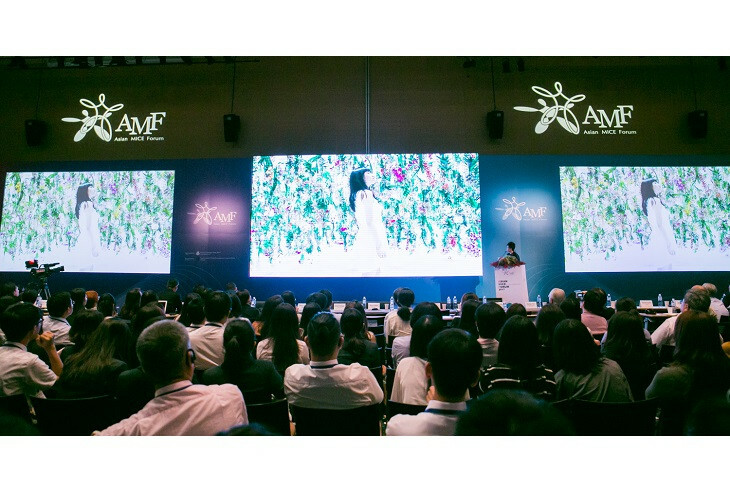 Also invited for the same event are representatives from the 2017 Summer Universiade in Taipei and the 2018 Taichung World Flora Exposition who will share their secrets for urban marketing. For this year, organizers have also invited the 2017 winner of the International Congress and Convention Association (ICCA) Best Marketing Award, the Flanders Meeting & Convention Center in Antwerp. The Center's chief commercial officer will speak on a new topic, the innovative CSR marketing method that brings together exhibitions and wildlife conservation. Recipient of the Society for Incentive Travel Excellence (SITE) Crystal Award for incentive travel marketing, CEO Gebert Janssen of The Party & Eventarchitect will talk about creating unique experiences while keeping costs low, and holding incentive tours that hosts and guests can enjoy. Taiwan is located in a quickly growing MICE industry region—the Asia Pacific, making the AMF a prime platform for networking and exchanges within the industry. Chairman of China City Convention & Exhibition Association, President of the Singapore Association of Convention & Exhibition Organizers & Suppliers, Vice President of the Indian Exhibition Industry Association, Senior Vice President of the Thailand Convention and Exhibition Bureau, and Chairman of the Indonesian Exhibition Companies Association have been invited to the Asian MICE Industry Leaders Talks, in which they will analyze the trends and prospects for development in the Asian exhibition industry.